Since 1995, Performance Review Institute Registrar, a systems registrar, has helped a multitude of organizations achieve and realize their true potential through the development of management systems and management systems certification. As an affiliate of SAE International – a technical society serving the global mobility industry since 1995-PRI Registrar is a not-for-profit organization, uniquely motivated with a mission and commitment to raise the bar in any industry it serves. 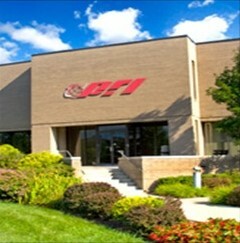 From its world headquarters on the SAE International campus in Warrendale, Pennsylvania USA, PRI Registrar partners with organizations worldwide, employing an array of specialized auditors with experience in aerospace (AS9100, AS9110, AS9120), quality (ISO 9001), environmental (ISO14001) and safety (ISO 45001) management system industries. Our knowledgeable, experienced and committed team make the difference-and make PRI Registrar the premier management systems registrar to guide you through the quality systems certification process. PRI employees have something unique – a passion for the work they do every day. We are committed to the success of your business by providing exceptional service and by adding value your organization through the certification process. The decision to partner with PRI Registrar will benefit your organization far beyond management systems certification. We serve our clients well because we do it right. But don't just take our word for it – listen to the words of some of our clients. Click here for audio testimonials. For more information about PRI Registrar or management systems certification, please contact us today at 724-772-1616 or contact us online.